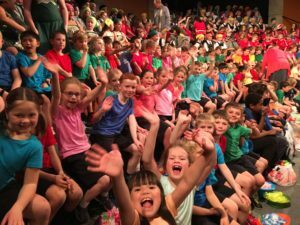 Art splash 2017 was held at the Michael Fowler Centre at the end of term 3. It was particularly special this year because it was the 30th anniversary. Year 3/4 and year 7/8 students were involved, and had a great time. 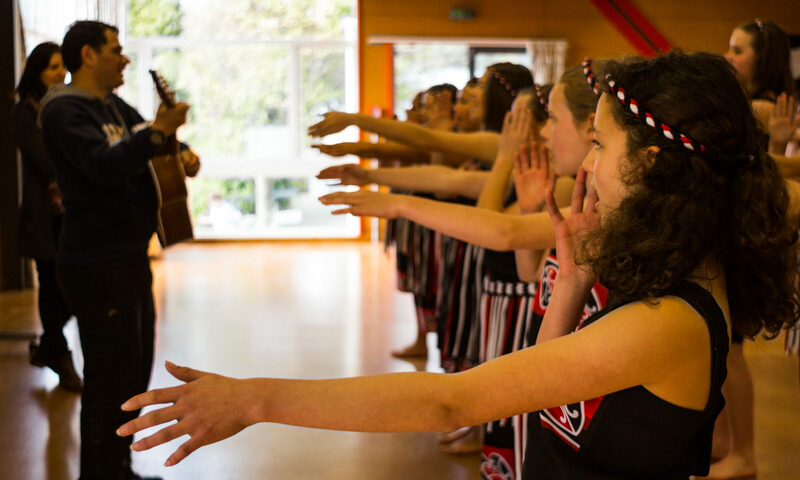 The Rata team had to learn 10 songs, including numbers from Joseph and the Technicolour Dreamcoat and Moana. They were also fortunate to sing Ngoi Ngoi, which is a Maori song written about a celebrated Maori composer whose name was Ngoi. She wrote the famous song Poi E. The last two songs were Wake Me Up and Take Me to the Dairy. These were fun songs where the students got to wear sparkly hats and do some dancing. Take Me to the Dairy was written especially for Artsplash by Bret McKenzie from The Flight of the Concords. The Rata team enjoying Art Splash. 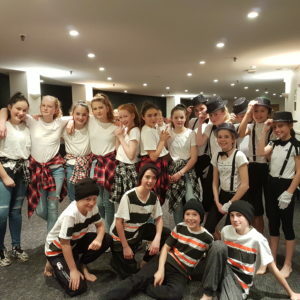 Two days later a group of Year 7 and 8 students performed in the Dance splash concert. The students choreographed their own routines with the theme of ‘Dance through the ages’. This involved a range of dances to the music of Elvis Presley, Chuck Berry, Michael Jackson, The Spice Girls and Justin Bieber. Their performance was lively, engaging and highly commended by the audience. The Yr 8 group on performance night. 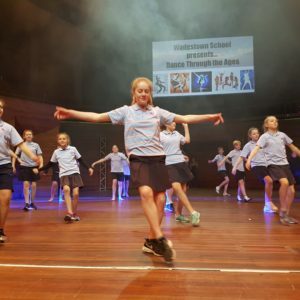 The Wadestown orchestra also performed in the foyer of the Michael Fowler Centre to entertain concert-goers prior to Dance splash. Well done and congratulations to all students who got involved. Run-through at the Michael Fowler Centre. 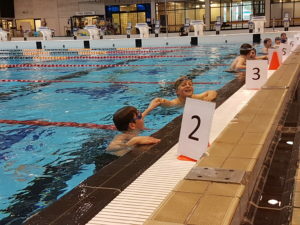 In Week 1 of this term, the Year 4-8’s participated in the swimming sports held at the Regional Aquatic Centre. Students cheered on their house while individuals competed in freestyle, breaststroke, backstroke and butterfly. The house relay and novelty events were highlights for all. Congratulations to Kereru who were the winning house on the day. Several students will now move onto the Western Zones in Week 5. Good luck to these athletes. Year 7 students enjoying the noodle race. Celebrations at the end of a race. Throughout Term 2, all Year 7 and 8 students took part in the Science Fair. Students selected a question in a Science field of their choice, and created a project which followed appropriate scientific methods. They were judged upon scientific thought, technical skill, originality, effort and presentation. This was a fantastic learning opportunity for all students. 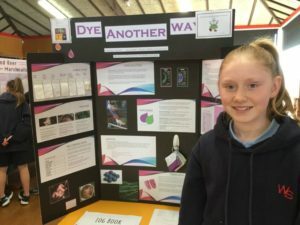 Several students have now been selected to enter their projects into the NIWA Wellington Regional Science Fair in September. Student’s project on dyeing material. 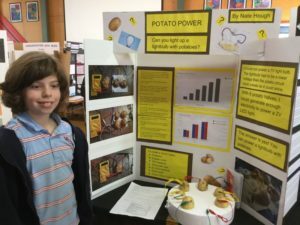 Student’s project on potato powered light bulbs. 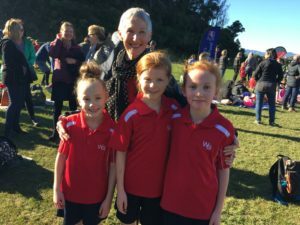 On the sunny afternoon of Thursday the 1st of June, the students of Wadestown ran the cross country. The students had been practising the course for the last month, and put a mighty amount of effort into the main event. There was plenty of support from teachers, parents, family members and friends to cheer the students on as they ran to the finish line. 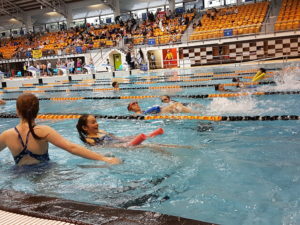 Well done to all who participated on the day, and a special congratulations to those students that made it through to the Western Zone and Interzone competitions. 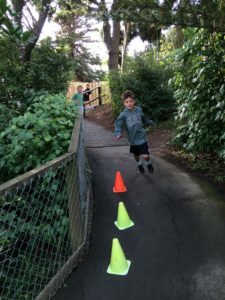 Students running on the Wadestown course. Students at the Western Zone Cross Country with Mrs Barrett. 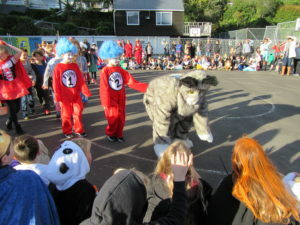 From the 22nd to the 26th of May both sites at Wadestown School celebrated their yearly book week. This consisted of competitions, shared reading, visiting authors, literacy quizzes and the book fair. The ever popular book parade also took place at the end of the week, and was enjoyed by students and teachers alike! 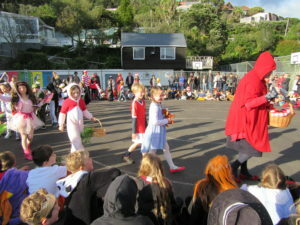 Red Riding Hood leading the book character parade. 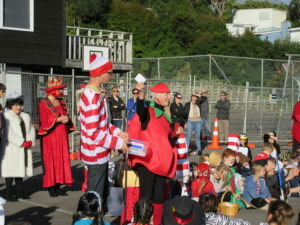 Mr Wally and Mrs Tomato selecting a prize winner. Last week the students at Wadestown School were visited by Constable Duncan Ashton for the introductory session of the New Zealand Police programme Keeping Ourselves Safe (KOS). KOS is a school-based personal safety programme that provides children and young people with skills to cope with situations that might involve abuse. 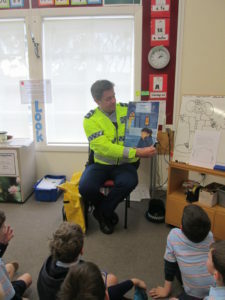 Constable Duncan read a story “Lost” to Room 1 and Room 2. He talked with the children about how they could handle a situation if they ever found themselves lost. 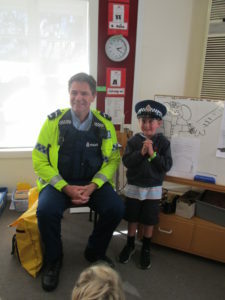 Constable Duncan said that when he visits again in week 4, he will bring his Police car to show us! A student wearing Constable Duncan’s police hat! Room 1 and 2 students listening to the story ‘Lost’.